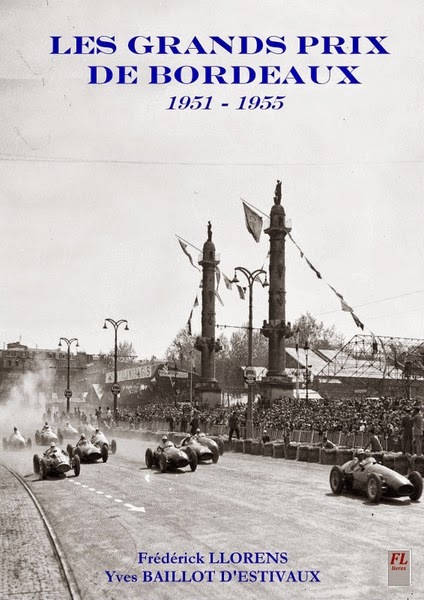 Unbelievable as it may seem today, in the early 1950s the city centre of Bordeaux hosted four Formula 1 Grand Prix races, attracting driving aces including Juan Manuel Fangio, Stirling Moss, Jean Behra and Maurice Trintignant. Motor racing had grown in popularity throughout the first half of the 20th century, with a number of urban circuits holding Grand Prix events. In Gironde, the earliest races to be organised by Automobile Club du Sud Ouest (ACSO) were held in the Parc Bordelais throughout the 1920s, followed by a one-off Grand Prix in Saint-Médard-en-Jalles in 1932. 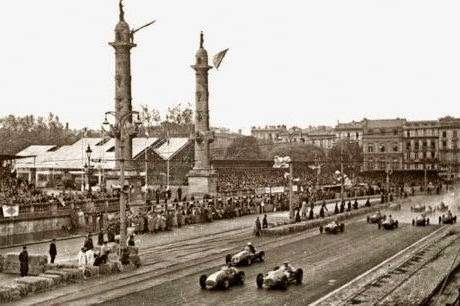 Post-War, ACSO sought and obtained the support of Bordeaux city mayor Jacques Chaban-Delmas to organise a non-World Championship Grand Prix in Bordeaux itself, on a 2.5-kilometre circuit which looped around the Esplanade des Quinconces and along the waterfront. In order to be recognised as a Formula 1 race, the total distance had to be of at least 300 kilometres; drivers would therefore have to go around the track no less than 123 times, amounting to a little over three hours of racing. The inaugural Grand Prix, comprising of time trials and the race itself, went on to be held on April 28th and 29th 1951, causing a great deal of motor-racing mayhem throughout the city and drawing 60,000 spectators. They viewed the race from temporary stands at the Garonne-side end of Esplanade des Quinconces (where the race started and finished), from the rooftop terraces of the riverside hangars (as featured in this previous item) and from ground level on the Esplanade des Quinconces itself, with temporary footbridges enabling people to walk from one section to the next. The race was won by Frenchman Louis Rosier, driving a Talbot 26C. Rosier also recorded the fastest lap, managing it in 1’28”, i.e. an average speed of 100.4 km/h. 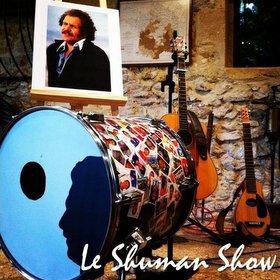 previously featured in Sud Ouest. The following year, against a backdrop of tussles with the FIA (Fédération Internationale de l'Automobile), the Grand Prix did not take place, a smaller-scale competition for local drivers being held instead. The Grand Prix returned in 1953 though, with 16 drivers signing up and, for the first time, the presence of Ferrari, whose Alberto Ascari won the race ahead of team-mate Luigi Villoresi and the legendary Juan Manuel Fangio. Ferrari were also victorious in 1954, this time through the Argentine José Froilán González, who finished well ahead of Robert Manzon (Rosier), Maurice Trintignant (Ferrari) and Stirling Moss (Alfred Moss). Moss was also set to finish fourth the following year despite recording the circuit’s fastest-ever lap time (1’21”, averaging more than 109 km/h). That 1955 Grand Prix was won by Jean Behra (Maserati), who finished just two seconds ahead of team-mate Luigi Musso. 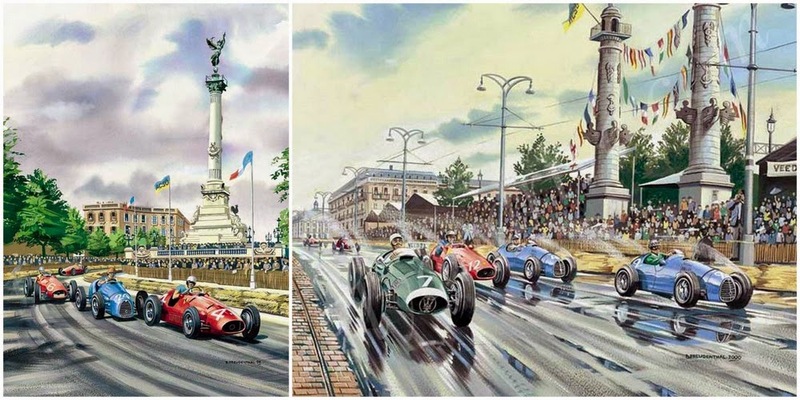 Artwork inspired by the Bordeaux races can be purchased from www.flyandrive.com: on the left is a scene from the 1953 Grand Prix with Ferrari's Ascari in the lead; on the right is a view of the home straight from 1954 showing, from left to right, Stirling Moss, José Froilán González, Eric Bayol and Jean Behra. But less than two months after that April 1955 event, motor sport would change forever with what became known as the 1955 Le Mans disaster: a spectacular crash which resulted in the death of 83 spectators (a further 120 were injured). 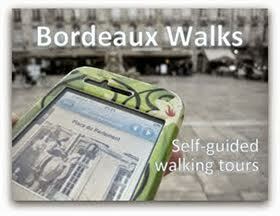 As a result, the Bordeaux Grand Prix was to be definitively scrapped. Times have changed though and every now and then the subject of a Bordeaux city-centre motor race is raised again, particularly given the success of the Grand Prix still held today in Pau. 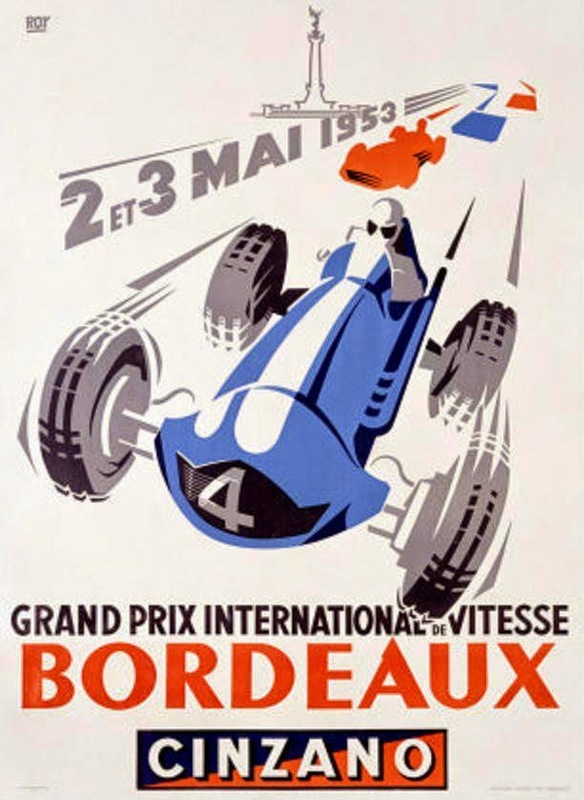 For now though, the Bordeaux Formula 1 Grand Prix is a thing of the past, and a poorly-documented past at that. However, a book recently published by local racing enthusiast Frederick Llorens and Yves Baillot d’Estivaux, the son of one of the original organisers, has amassed archive pictures, facts, figures and reports about the four Grands Prix. The book has succeeded in raising awareness locally of these amazing events and is arguably the next best thing to seeing and hearing the legendary drivers themselves! Big thanks to Fred for lending me the GoPro camera I used to film my Grand Prix lap! La F1 à Bordeaux ©La Mémoire de Bordeaux Métropole / Fonds privés from Mémoire Bordeaux on Vimeo. Whenever a city or a state hosts a race car event, its local tourism gets boosted and it opens up business opportunities for various parties both large and small. Hence, it is not surprising to see many more countries rushing to take up the honor whenever given the chance.